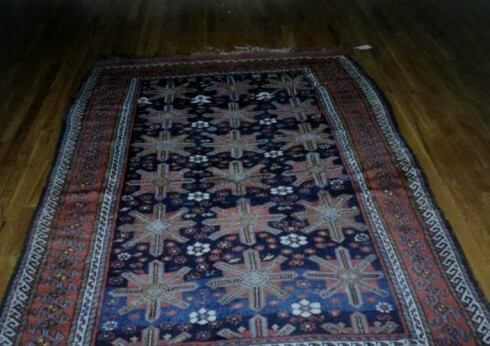 THE KURD RUG -A cultural and artistic tradition uninfluenced by surrounding regions. In western Iran, just across the border from Iraq and Turkey, the central plains and rolling hills give way to mountains. These ancient peaks, windswept and barren, have for centuries isolated their valleys, where scattered villages and nomadic peoples live as though in secret. Few roads access Kurdish Iran, and settlements have remained largely untouched by modern development. Here, Kurdish people have sustained a cultural and artistic tradition uninfluenced by surrounding regions. The language is Kurdish, entirely separate from the Farsi spoken elsewhere. And the Kurdish villages are themselves remarkable sights, exhibiting feats of architecture and engineering that seem, impossibly, to climb the mountain walls. The traditional stone houses, built into cliffs, seem to grow from the rock itself. There is little color in this landscape, save the earthen browns and grays of the desert, but among the Kurdish people, an extraordinary palette infuses art and life. Their ubiquitous textiles, woven for daily use and to accompany caravans on long migrations, are the cultural embers, carried like fire, holding some central spark of energy. In rural mountain villages, and among the various nomadic tribes who continue to live in Iranian Kurdistan traditionally, the textiles certainly stand out as their central art form. The weaving tradition in the area begins, perhaps, as a sartorial one. Even today, many women and men dress traditionally in strikingly elegant, brilliantly-colored handmade clothes, in which the rule with fabric is for it to flow. To accommodate movement on long treks, men’s pants are wide-legged and cinched at the ankles, while women’s dresses drape elegantly in swaths of brightly-dyed, richly-patterned fabric. The Kurdish relationship to color and pattern seems deep, almost spiritual, a kind of artistic response to the desert, and in this same organic relationship between the people and their landscape we find the roots of design in Kurdish rugs. 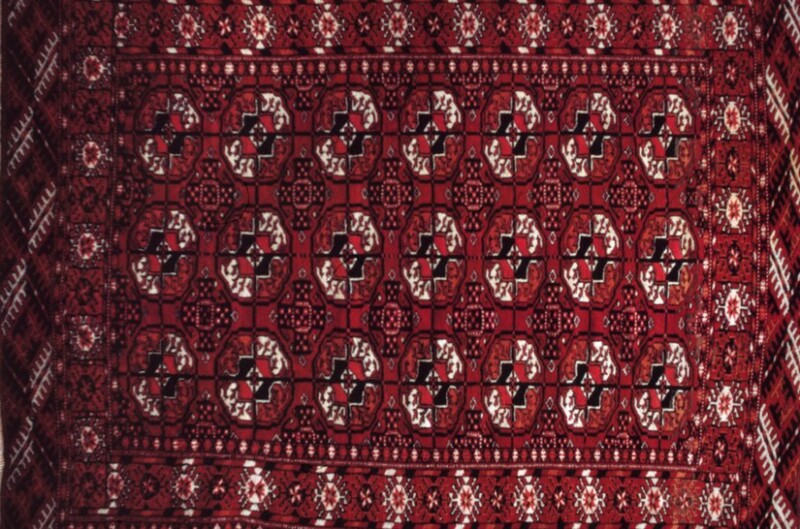 Kurdish rugs refer specifically to those village and tribal rugs made in “Kurdistan” (the contemporary borders of which cross numerous national boundaries), mostly in the 18th and early 19th centuries. The rugs are almost exclusively pre-20th century, made at first according to nomadic tradition, and later in more centralized workshops for export to the discerning international market. Among the extraordinary Kurdish textiles, these rugs are perhaps the finest examples of Kurdish color and design. They are known for their fascinating all-over geometric patterns, often based on the complex language of Kurdish symbols. Unique among Persian carpets, it is not uncommon to find that a rug’s creator has woven a symbolic message into their design. One particularly famous motif is the Kurdish garden carpet, which depicts a birds-eye-view of a traditional Persian garden. Water, topography, and dense, cultivated foliage combine to produce an exquisitely harmonious, all-over design that has been tremendously popular internationally from the moment of its 18th century inception. As is typical of Persian village and tribal rugs, Kurdish rugs are incredibly durable, made to withstand heavy wear and daily use on long migrations. Foundations are usually made of thick wool, and pile is double-knotted. 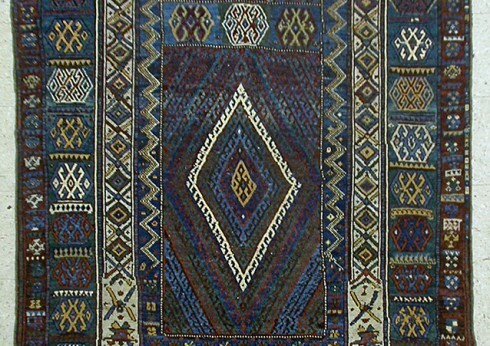 This utilitarian toughness has thankfully allowed many Kurdish rugs to survive in excellent condition, as objects of art.